The Archaeology Program of the National Science Foundation (NSF) has identified the Digital Archaeological Record (tDAR) as one of two data repositories for researchers to consider in order to fulfil the requirement that proposals include a plan for providing wide access and long-term preservation of data and documents created as part of NSF research grants. See the NSF’s required Data Management Plan here. Professors Kate Spielmann and Keith Kintigh demonstrate groundbreaking comparative research on Southwestern faunal datasets using the powerful tools in tDAR. Spielmann and Kintigh leveraged the innovative data integration tools built into tDAR’s architecture. View the Powerpoint slides from the ICAZ presentation. Read an updated version of the ICAZ presentation. Jim deVos joined Digital Antiquity, and the School of Human Evolution and Social Change (SHESC) at Arizona State University, as Software Programmer in late August. DeVos is no stranger to ASU, as he holds a B.S. in Computer Science and Engineering and Applied Science from its College of Engineering and Applied Science. DeVos has also earned certification for diverse software programs and applications. He has a history of software development and maintenance for companies including Honeywell Corporation, DHL Worldwide Express, Quest, and TriWest Healthcare Alliance. Learn more about Jim deVos. Adam Brin joined Digital Antiquity, and the School of Human Evolution and Social Change (SHESC) at Arizona State University, as Technology Director in June. Immediately before joining Digital Antiquity Brin was technical program manager for California Digital Libraries, as well as a consultant for Luna Imaging. In his role as consultant, Brin developed an extensive database of NASA images, now housed on the Internet Archive. Brin holds a B.A. from Brown University in Anthropology, with special emphasis on archaeology, and has worked in the field and in laboratory conservation. Learn more about Adam Brin. In May, the National Science Foundation revealed that there would be changes to its Proposal and Award Policies and Procedures Guide (PAPPG) mandating the inclusion of a Data Management Plan in all proposals submitted on or after January 18, 2011. The Foundation also noted its intent to evaluate the Data Management Plan as a part of the Intellectual Merit criterion, the Broader Impacts criterion, or both criteria as appropriate to the project. This change to the PAPPG marks an important commitment by the NSF to social science data accessibility for the scientific community and the public, and will likely promote wider interest in how archaeological data and documents are made accessible and preserved for future generations. To read more about the changes, visit the revised NSF PAPPG. Also check out the latest version of the NSF Grant Proposal Guide. Listen to an interview with Keith Kintigh, one of the developers of the Digital Archaeological Record (tDAR) and Frank McManamon, Executive Director of Digital Antiquity. Originally broadcast on the Library Channel Kintigh and McManamon describe the background and plans of this effort to expand the access to archaeological data and ensure its long-term preservation. Executive Director Francis McManamon and Board Member Keith Kintigh make the case for tDAR and the critical need for archiving archaeological data in the SAA Archaeological Record (March 2010). On December 10, 2009 the President’s Office of Science and Technology Policy issued a call for comment on how to improve access to the results of federally funded research projects. Digital Antiquity’s Francis McManamon (Executive Director) and Sander van der Leeuw (Chair, Digital Antiquity Board of Directors) responded, stating the importance of increased access to archaeological data collected in the United States—a process reliant on a majority of federal funding. The comment suggested the Digital Archaeological Record (tDAR) as a tool for increasing knowledge of extant data, for integrating new data, for preserving at-risk data, and for increasing the cost efficiency of federally funded research. Read the full comment here. Also see the OSTP Call for Comment here. 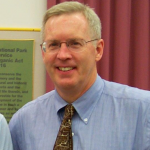 Dr. Francis P. McManamon was hired as Executive Director of Digital Antiquity and as a Research Professor in the School of Human Evolution and Social Change (SHESC) at Arizona State University. He began working on the Digital Antiquity project on 16 November 2009. Dr. McManamon has over thirty years of experience as an archaeologist. Most of his work has been for the National Park Service, where he began as Chief Regional Archaeologist of the North Atlantic Region. 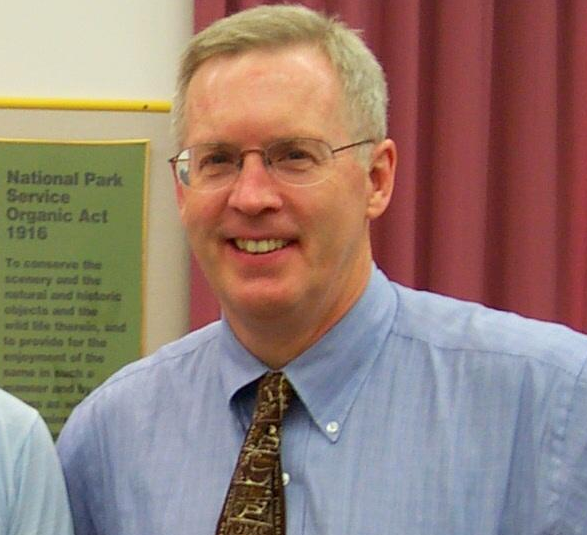 From 1986 to 2009 he worked in the Washington headquarters office of the NPS, and from 1995 until his retirement in November 2009 he was the NPS Chief Archeologist, as well as the Departmental Consulting Archeologist, for the Department of the Interior. He holds an A.B. from Colgate University, as well as a Master’s and Ph.D. from SUNY Binghamton. The Andrew W. Mellon Foundation provided a grant of $1.29 million dollars to establish the Digital Antiquity organization and fund the development and maintenance of an international digital repository for archaeological data and documents. The repository, the Digital Archaeological Record (tDAR), is established and available for search and for contributors who wish to deposit digital archaeological data or documents. Instructions and easy-to-use web interface screens are available at the tDAR website.